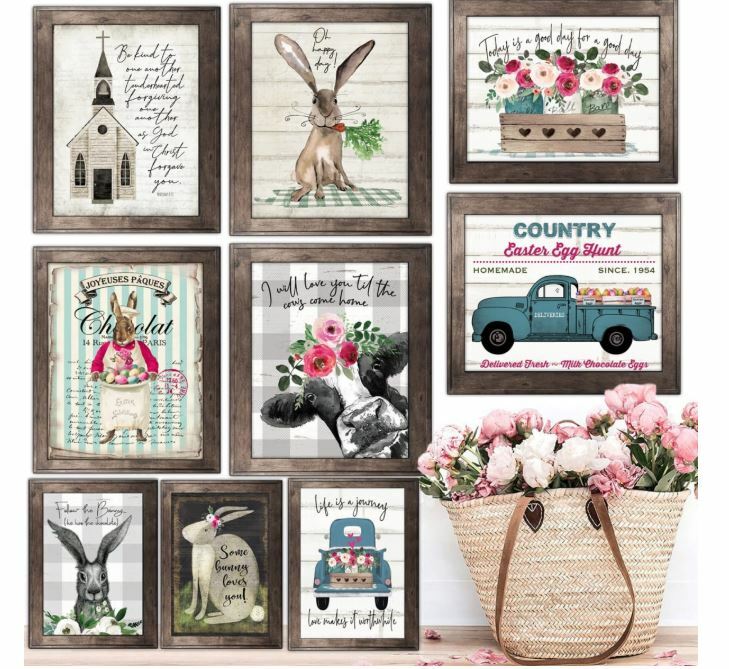 Check out these super cute Rustic Spring and Easter Inspired Art Prints available in 2 sizes for $2.97 (Retail $10). This is such a fun and inexpensive way to decorate! Rustic Spring, Easter & everyday farmhouse fab decor is hopping down the bunny trail and now available designer direct to you. Our versatile sizing and thick artisan papers are perfect for any project you have in mind. Please Note: My rustic farmhouse artworks are reproduction prints meant to honor the time worn look of authentic farmhouse decor. The artwork & scripts will show intended imperfections in grain, variations in texture & tones, fade marks, grunge & wear spots as are usual in rustic hand done artworks, giving them their unique character, charm & appearance. Some of the images used are authentic vintage art. This means they are not perfect and their vintage charm is intentional. *I want you to love the prints I craft for you and know exactly what I am making for you and sending. To that end, please help me by reading ALL the product details, measuring, noting our shipping methods, and carefully reviewing all the images prior to placing your order. Original art is hand done and your art prints are reproduced & printed onto paper using that art.